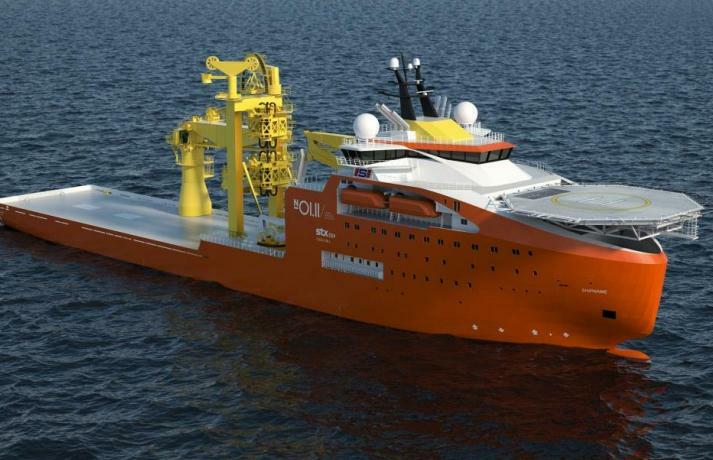 STX OSV Holdings Limited (“STX OSV”), one of the major global designers and shipbuilders of offshore and specialized vessels, has received an order for the design and construction of a large, advanced Offshore Subsea Construction Vessel (OSCV) for Ocean Installer and Solstad Offshore. The contract value amounts to approximately NOK 1.4 billion. Ocean Installer and Solstad will have joint ownership of the vessel, which is to be operated by Ocean Installer. The vessel is scheduled for delivery from STX OSV in Norway in 2Q 2014. The hull will be delivered from STX OSV in Romania. The contract is subject to board approval by the Norwegian Guarantee Institute for Export Credits (GIEK), expected to be received on or around 20 June 2012. The vessel, of type OSCV 06L, has been designed by STX OSV and Solstad in close cooperation with Ocean Installer, and is highly advanced in terms of station keeping, efficiency and operational performance. The vessel is designed to operate efficiently under demanding conditions and is well fitted for SURF (Subsea,Umbilicals, Risers, Flowlines) operations. The vessel is 156.7 meters long, 27 meters wide and has an aft cargo deck area of 2,100 m2. She will be equipped with a 150 t Vertical Lay System (VLS) and a 3,000 t below deck carousel, Remotely Operated Vehicles (ROVs) in hangars launched through moonpools, and two AHC offshore cranes (400 t and 100 t) which both can operate down to depths of 3,000 meters. The accommodation facilities will have a capacity of 140 persons. The vessel is designed according to the latest environmental standards with focus on low fuel consumption.